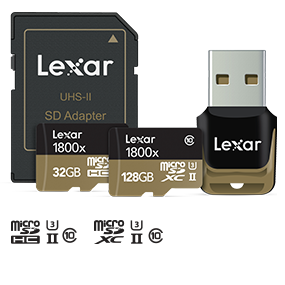 Whether you’re a professional photographer, videographer, or a mobile device power user, Lexar Professional 1800x microSD UHS-II cards provide performance you can trust. 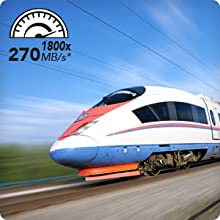 They leverage UHS-II technology (UHS Speed Class 3 (U3)) and provide a read transfer speed up to 1800x (270MB/s). 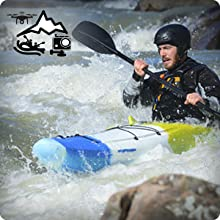 This gives you the speed you need to capture, transfer, and share adventures on the go. 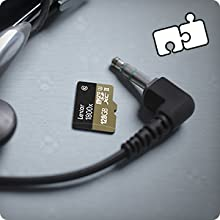 The cards come with an SD UHS-II adapter for easy transfer between devices, and a microSD UHS-II USB 3.0 reader, allowing you to experience high-speed file transfer, right out of the box. 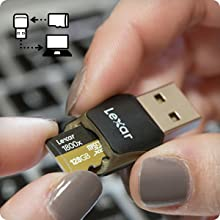 ** This dramatically accelerates workflow from start to finish, getting you back to capturing the action faster. 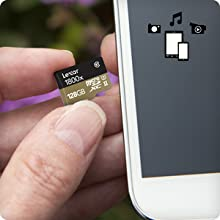 ***Based on 128GB capacity. HD 1080p@24fps (15 Mbps). 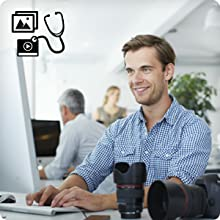 Actual number of hours will vary dependingon camera/device model, format resolution and compression, usable capacity, and bundled software. 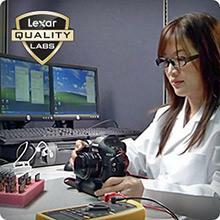 ****Image or other data recovery is not 100% guaranteed.